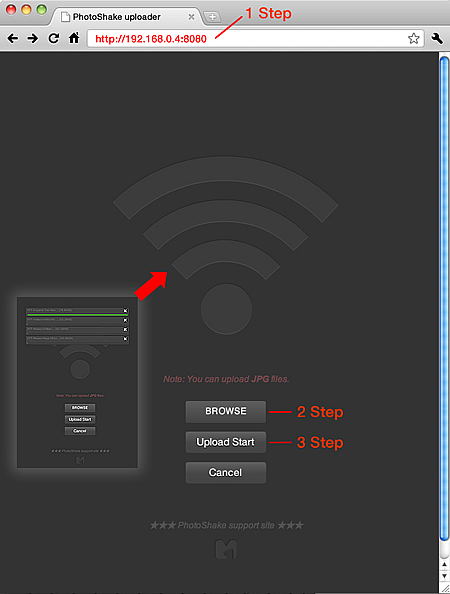 Add gallery : you can save project files and reload any times. 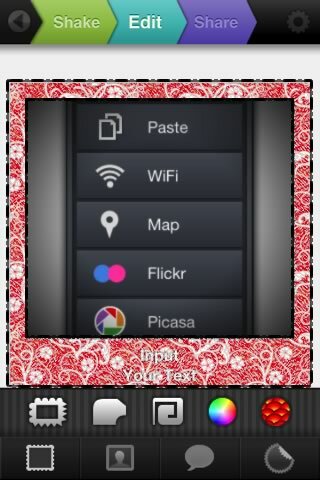 Add new theme : InstantPhoto. 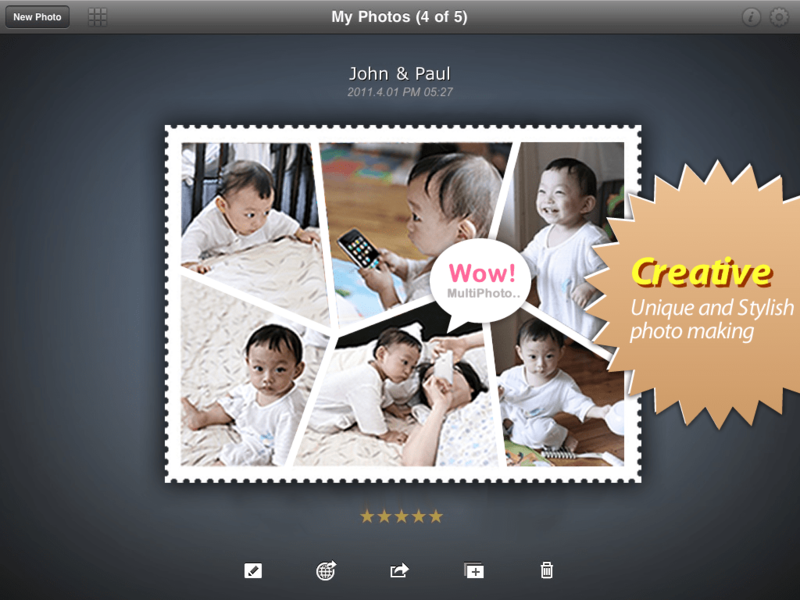 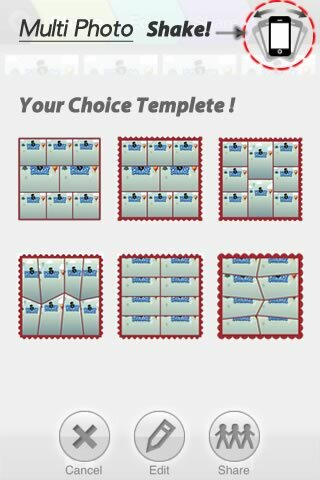 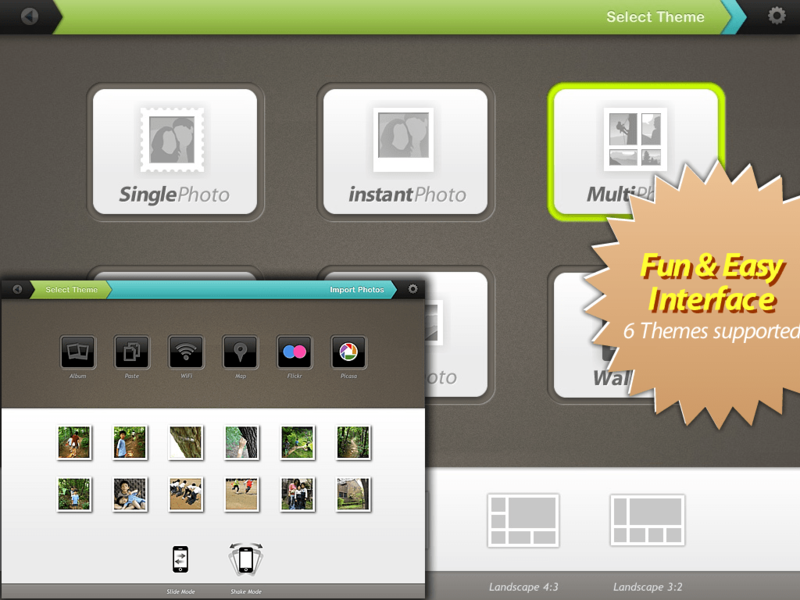 Add new template to Multiphoto and Widephoto. 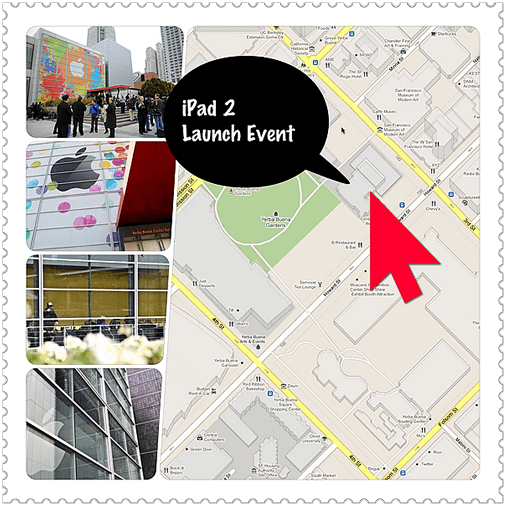 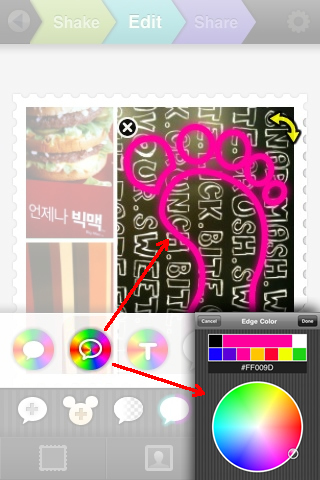 Separate sticker tool from ballon tool. 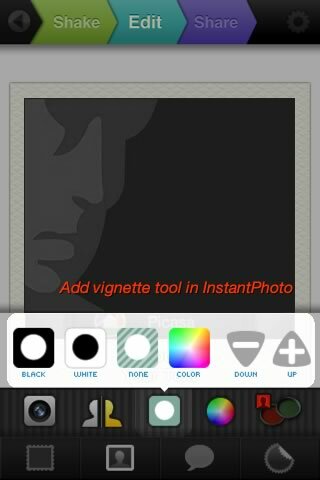 Add vignette tool in InstantPhoto. 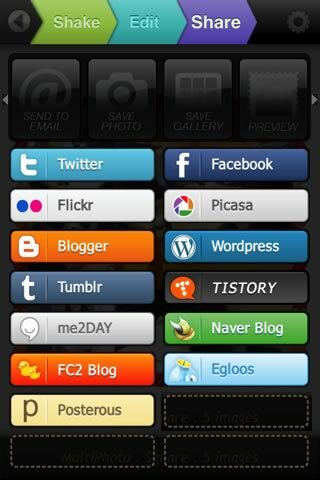 Add Blogger, WordPress, Posterous, FC2, NaverBlog, Tistory and Egloos export. 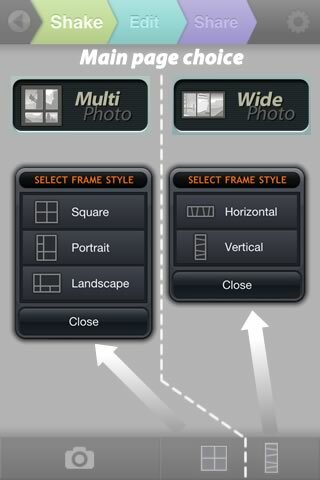 Check high-quality & custom size options in the preferences. 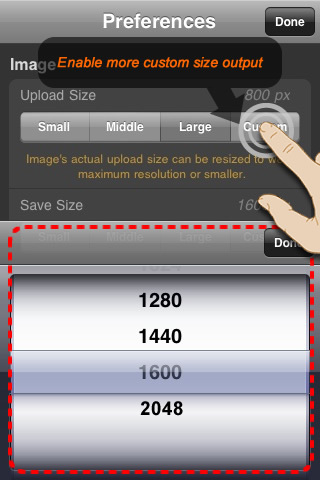 The maximum save size depends on the device type. 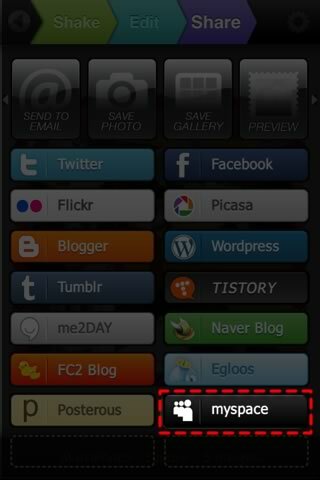 (3G-1280px, 3GS-1600px, 4G-2048px) Thanks for using the PhotoShake. 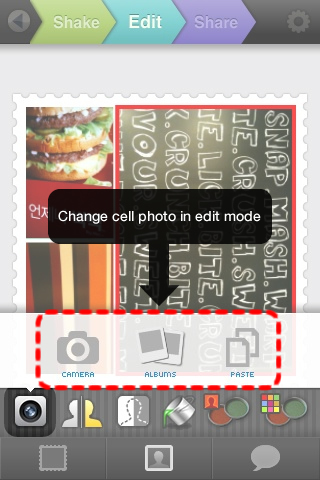 Enable more large size output. 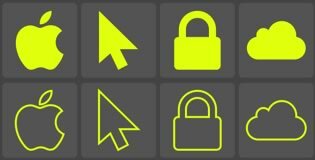 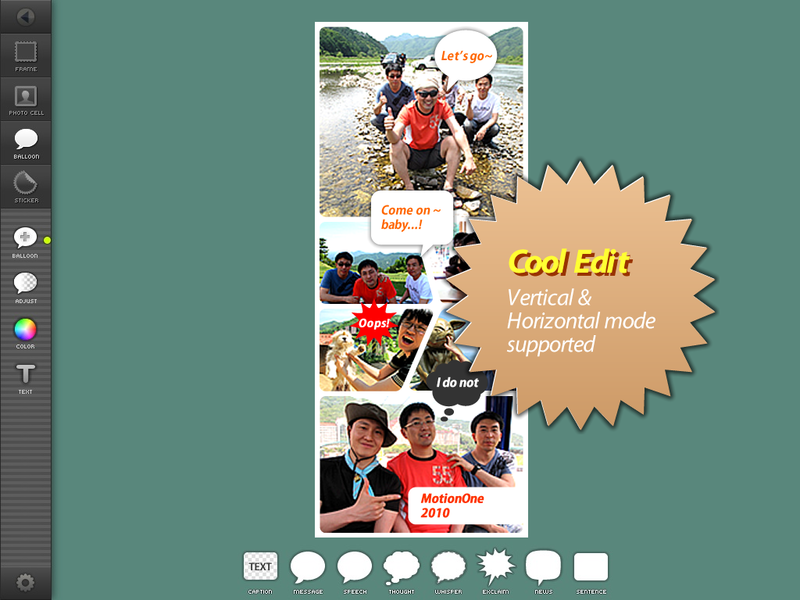 Enable more custom size output mode. 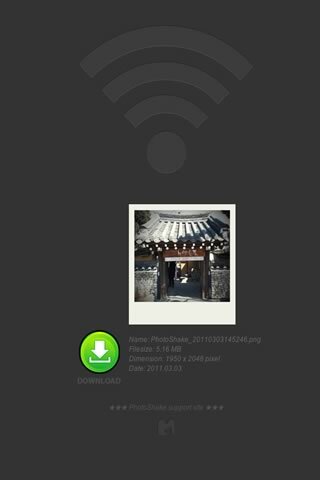 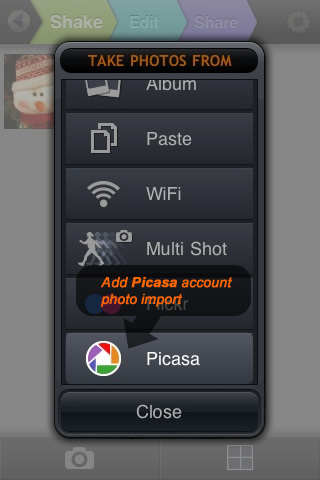 Add Picasa account photo import. 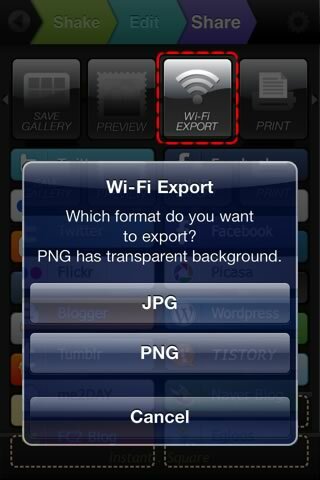 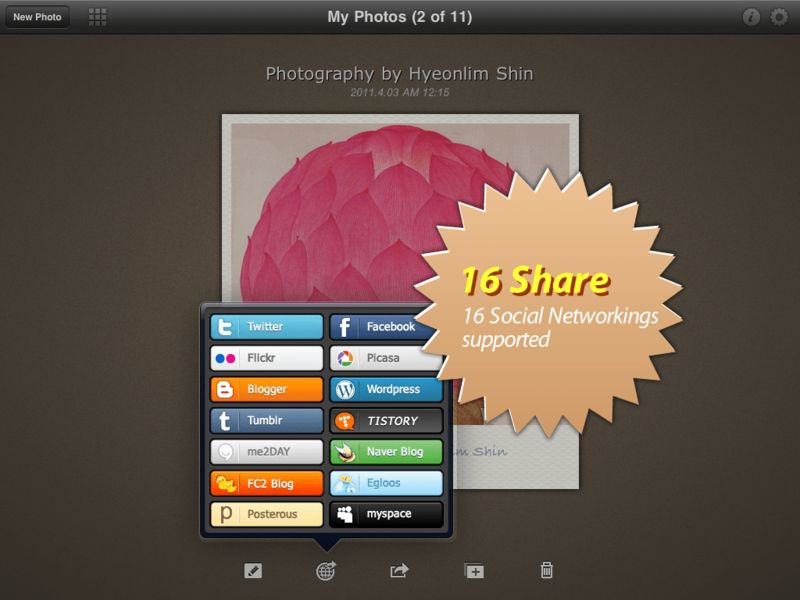 Add Blogger and Picasa export. 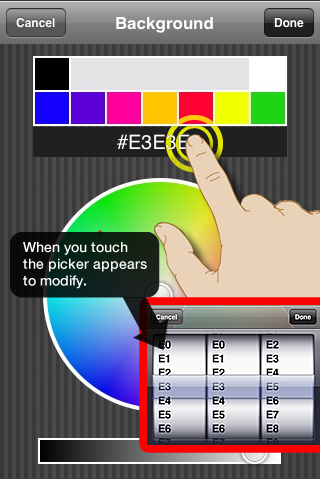 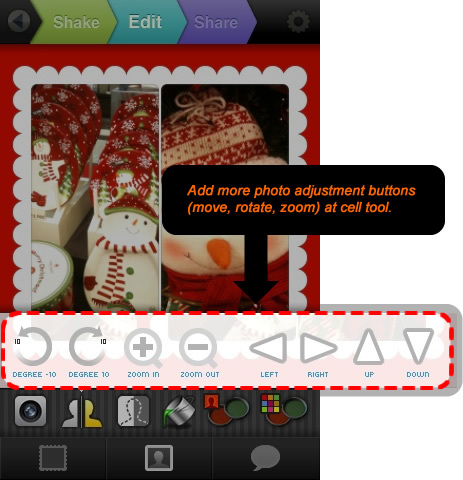 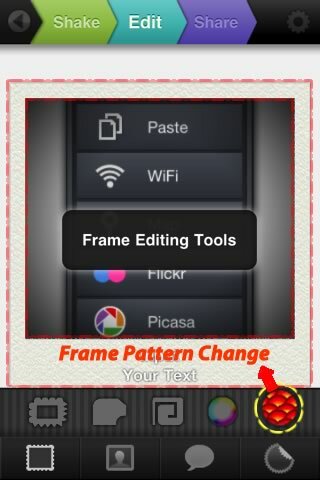 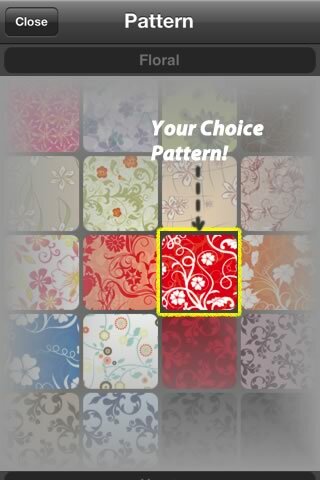 Add more photo adjustment buttons (Move, Rotate, Zoom) at cell tool. 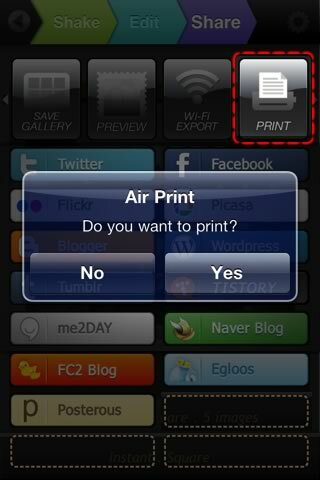 Add preferences button at home screen. 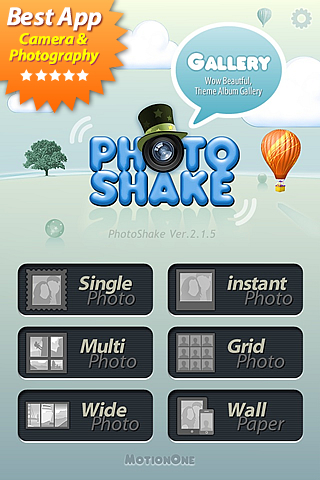 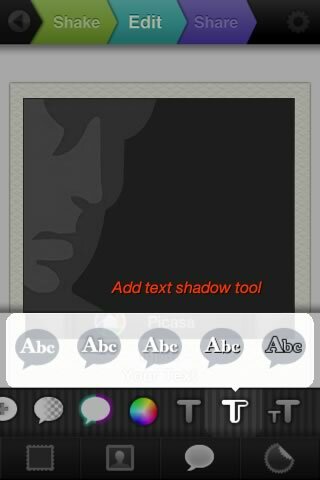 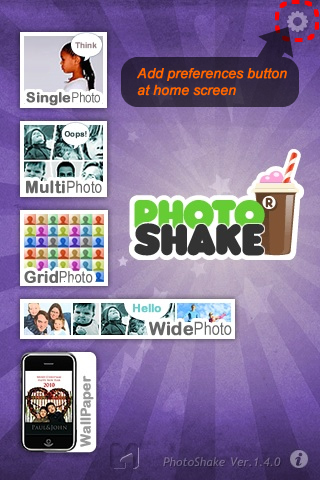 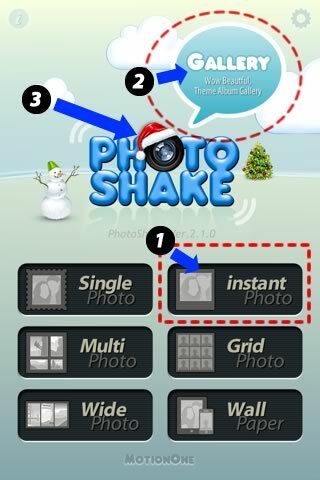 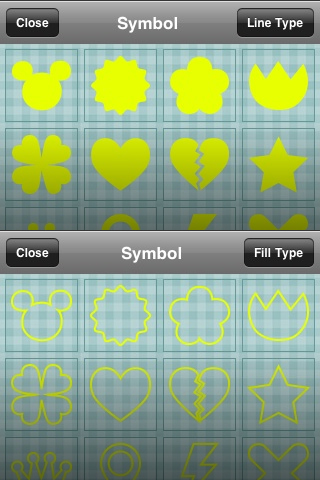 PhotoShake for iPhone 1.0.0 Release!